Dr. Martha Arroyo, a dermatologist at Advocate Condell Medical Center in Libertyville, Ill. urges people to avoid all forms of indoor tanning. According to new research, women who tan indoors are six times more likely to develop melanoma before turning 30 compared to young women who do not tan indoors. Analysis of the data found that women under age 40, on average, began tanning indoors at age 16 and went around 100 times. 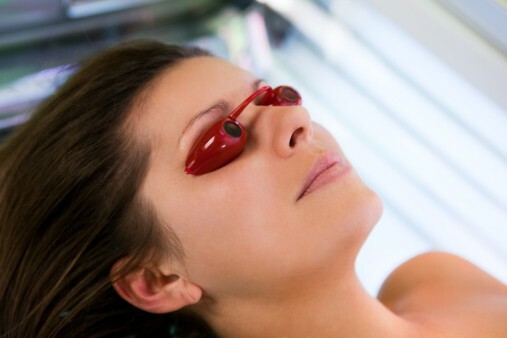 Due to the young age that indoor tanning was initiated and the frequency, the study concluded that the rise in melanoma in young women is likely linked to the use of indoor tanning. For this study, researchers at The University of Minnesota in Minneapolis compared data between 681 melanoma patients over the age of 50 and 654 people without melanoma who were 25-49 years old. If someone has used indoor tanning in the past or has any of the above risk factors and is over the age of 40, Dr. Arroyo highly recommends yearly skin exams with a trained professional, such as a dermatologist. Dr. Arroyo says to contact a physician if any of these early warning signs are noticed during a self-exam.